To cite this article: Kagan, S. Breakouts To Energize Brains and Boost Achievement San Clemente, CA: Kagan Publishing. Students are working in their base teams or sitting alone listening to a lecture. 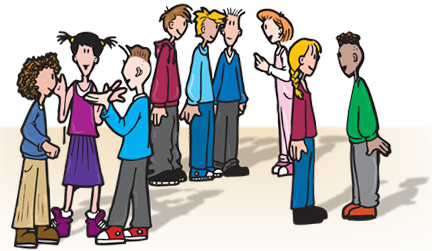 After ten minutes or so, to have students recall the most important points of the lecture, the teacher or professor has students StandUp–HandUp–PairUp and do a RallyRobin. The instructor is using a breakout. Later, when tested on the content their performance is far better than if the instructor had just continued lecturing. And when asked, students say they like the class, the content, and the instructor far more than classes where the instructor does not use breakouts. Breakouts are simple, yet powerful. What is a breakout? Breakouts are efficient ways to regroup students, preparing them to interact with classmates who are not part of their base team. There are a variety of structures that allow students to breakout from their teams and interact with classmates. Breakouts energize students' brains by creating novelty; they nourish students' brains by sending more nutrients to the brain; and they allow many ways to process content, making lessons both more fun and more memorable. We use breakouts into random pairs, triads and groups of four at any point in any lesson to boost energy and to cement learning. Here we will examine structures for breakouts: the two types of breakout structures, when to use them, and why they align how we teach with how brains best function. Some structures are grouping structures, that is, their only purpose is to regroup students. Grouping structures do not direct students on how to interact over content; they simply get students into pairs, triads, groups of four, or even larger groups. Once students are in groups, other structures can be used to direct how the students interact. Grouping structures do no more than regroup students. There is a second set of structures that are useful in creating breakouts. A number of structures are designed to direct interaction among students, but as part of the process these structures also form new groups. These interaction structures are a second way to form breakout groups. After we distinguish groups from teams and the two types of structures to form breakouts, we will explore various times to use breakouts, why they help us align how we teach with how brains best function, and why breakouts, when coupled with true cooperative learning interaction structures decrease the school achievement gap. Let's begin by distinguishing groups from teams. Baseball teammates wear the same uniform, practice together, support each other, know each other well. They have a common identity. "I am a Dodger. I belong to a team." Group members, in contrast, do not share a common identity and do not have a sense of belonging. They are individuals who happen to be together for a brief time. For example, a group of people standing at a red light waiting for the light to change so they can cross the street is a group, not a team. They are together briefly, but there has been no teambuilding, no getting to know or like each other, no common identity or sense of belonging. There are a variety of formal ways to form teams in the classroom including heterogeneous teams, random teams, and language-specific, content-specific, and ability-specific teams. 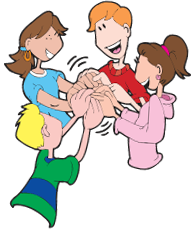 These teamformation methods are described in detail in our book, Kagan Cooperative Learning. Successful teams depend on teambuilding — activities that create mutual respect and support among teammates as well as fostering a common team identity. Our book, Teambuilding, provides many ready-made teambuilding structures and activities. Carefully assigned heterogeneous teams of four, as I have spelled out elsewhere, are magic. Teams of four break evenly into two pairs for pair work, which maximizes student engagement. Carefully assigned teams consist of a high achiever, two middle achievers, and a low achiever, maximizing the opportunity for peer tutoring. They place the low achieving student between a high and a middle achiever, decreasing management problems and increasing the possibility of positive modeling. Heterogeneous base teams stay together for a number of weeks, allowing students to know each other well and to bond. They allow students to learn how to learn together. Carefully assigned, long-term heterogeneous teams are the basis for the vast majority of positive research outcomes in cooperative learning. Although I am advocating here the use of Breakout groups, these brief groups do not have the power of heterogeneous teams and are not designed to replace them. I am advocating teachers use Breakout groups in addition to not instead of heterogeneous teams. Frequently having students break out from their heterogeneous base teams to interact briefly with others has huge benefits. Breakouts have advantages that cannot be obtained if students only work in their base teams. Breakout groups differ from teams. Classmates are brought together in pairs, triads, or groups of four for a brief interaction, often no more than a few minutes. Usually there is little or no attempt at teambuilding as the students will interact only very briefly. After base teams have been formed in the class, breakouts allow students to leave their teams and interact with classmates, and then return to their base teams. If no teams have been formed, breakouts have individuals work together with classmates then return to their individual seats. Often the interaction in breakout is only a few minutes and students interact while standing, not even taking time to sit down together. Let's distinguish the two types of structures that can be used to form breakout groups — grouping structures and interaction structures.